People walk through an archway into the courtyard of the Louvre museum. 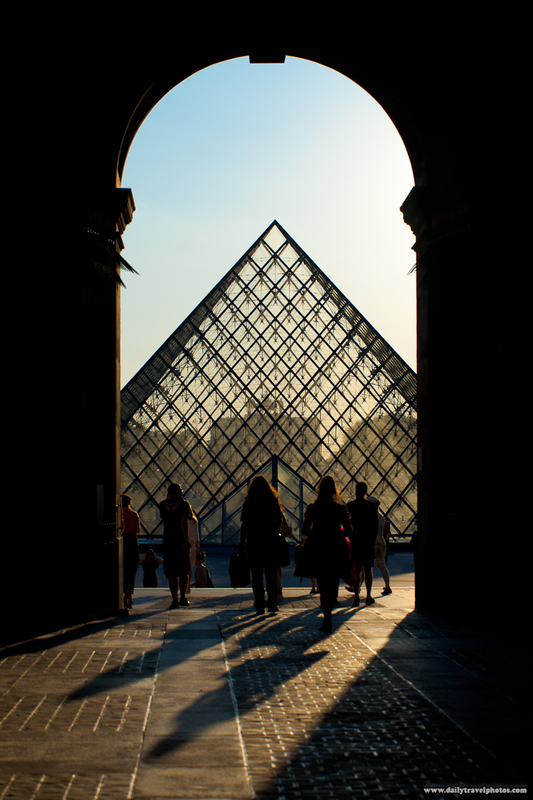 Enter the Louvre museum at the break of dawn and you exit at nearly nighttime. A full day of art intake has a profound toll on a person's body. I have coined the term the "Louvre syndrome" in case anyone wants to use it.